Stay in-the-know and up-to-date on all of the Visit Salt Lake events, from Board of Trustees and Membership Meetings to Member Connections, you&apos;ll find the dates, the details, and even be able to RSVP for the events! 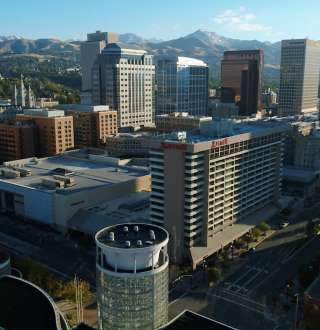 Visit Salt Lake offers big benefits for member businesses. Check out the tools available—an array of marketing, education, and networking tools that can help our member businesses tap into this red-hot convention and visitor industry. View a ist of all Visit Salt Lake staff members. We look forward to hearing from you. Looking for a restaurant, where a good dining experience is guaranteed? Hoping to find one of the best watering-holes in town? Interested in tracking down some tour information? Look no further, our Quick Links has got you covered! Combining the amenities of a major metropolitan area with the friendliness of a quaint, mountain town, SaltLake is an ideal location.